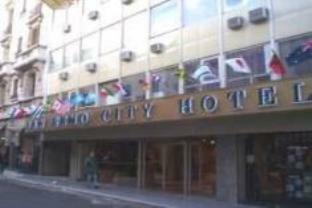 7월 9일 거리(9 de Julio Avenue)에서 350m, 국회에서 750m 떨어진 San Remo City Hotel은 무료 Wi-Fi와 월풀 욕조가 완비된 객실을 보유하고 있습니다. 오벨리스크가 800m 거리에 있습니다. San Remo City의 객실은 에어컨과 케이블 TV를 갖추고 있습니다. 일부 객실에는 전용 발코니가 딸려 있습니다. 조식 뷔페가 매일 제공됩니다. 테라스에서 음료와 커피를 즐겨 보십시오. 로비에서 휴식을 취하거나 열람실에서 독서를 하셔도 좋습니다. 호르헤 뉴베리 국내공항은 7km, 에세이사 국제공항은 30km 떨어져 있습니다. from the time we arrived we were greeted with a warm friendly smile. dirty neighbourhood, but clean hotel. rooms comfortable & always clean. excellent price. breakfast satisfactory, but could do with fresh fruit, maybe boiled eggs. reception was always helpful & especially friendly. location ideal for shopping, and buses pass outside hotel. beds comfortable & sheets changed. always hot running water. would stay there again. It is located just 2 blocks away from main street and within walking distance from Florida street. Subway station is just 1 block away. wifi is working but not in a room. good breakfast and pc was useful. from the time we arrived we were greeted with a warm friendly smile. dirty neighbourhood, but clean hotel. rooms comfortable & always clean. excellent price. breakfast satisfactory, but could do with fresh fruit, maybe boiled eggs. reception was always helpful & especially friendly. location ideal for shopping, and buses pass outside hotel. beds comfortable & sheets changed. always hot running water. one lift not enough. would stay there again. two free internet connections, one keyboard, letters not eligible, should change keyboard. The hotel was ok, but not great. 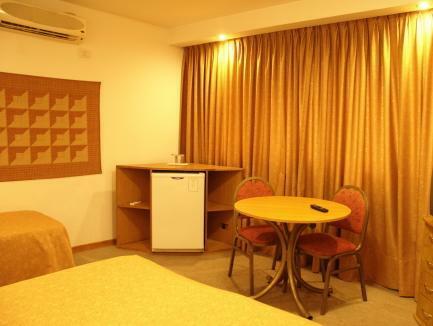 Rooms are large and clean, breakfast is good if you like sweet dishes. No fresh fruits or cheese available. Reception staff hardly speak english, but are generally friendly. Location is very central. No recreational facilities available. Our stay was fine. Nothing wrong, but also nothing exceptionally outstanding. Rooms were large and comfortable, but old fashioned. There are no recreational facilities in this hotel and the bar was closed during our stay (even though it was the week of the 31st of December. Nice area with lots of restaurants, walking distance to city centre. Breakfast was very limited with sweet selections only, no fresh fruit, no cheese/eggs. This is not a 4 stars hotel. The room is too simple. The location of the hotel is great to explore the city. It was clean and there were no problems with the room, although the room is nothing extraordinary. Staff was friendly and the breakfast - decent. Good value for money. The actual street where the hotel was situated was a bit shabby. The hotel sales manager was very helpful when my rucsac containing passports was stolen and went with me to the police station to act as interpreter. The breakfast included in the price was good and a couple of computers connected to the internet were available for guests. The bedroom was a good size and had air conditioning. It was at the back of the hotel so was quiet but had no view. 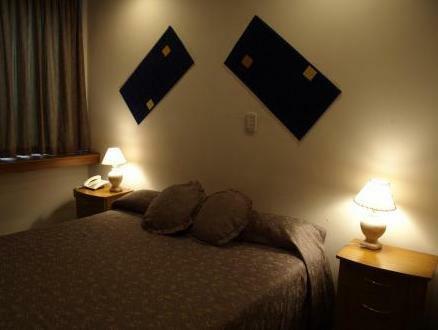 Central located, easy access, short distance from main tourist points. Clean room. Good and plenty breakfast. Staff very helpfull. The added 21% tax came as a surprise. I liked their staff. At the reception they were helpfull and curteous. Arrage for shows and local tours. Give good directions. Reccomend good places to places to see and have dinner. Cafeteria staff were always at hand refilling juices, coffee, milk, and all else on the buffet tables. Hotel lobby interior was modern and airy. Had available computers and wi-fi that worked. The hotel is a good place for young and old. I will stay again on a future trip. Je cherchais un hôtel bien placé au centre de Buenos-Aires pour les 2 dernières nuits de mon séjour Argentin, pas trop cher mais avec un WIFI gratuit pour transférer mes photos et lire mes mails dans la chambre. Le San Rémo City Hotel a satisfait à toutes ces conditions même si le confort était spartiate et un peu bruyant. Accueil de qualité et compétent. Petit déjeuner riche et varié. Nettes Personal. Gutes Fruehstueck . Kaffee war gut .Frisches Obst und schneller Service. Zimmer hatte Kuehlschrank und das Bad mit Wirlpool Hotel hat zentrale gute Lage. Zentrale Lage, Platz Congresso ca. 500 Meter. Interessant ist die Avenida De Majo mit guten Restaurants in der Nähe. U-Bahn Station 4 Minuten. Trotz viel Verkehr ziemlich leise im Zimmer. hotel com boa localização , preço acessivel mas estrutura antiga , café da manha muito fraco ,sem variedade nenhuma (sem Frios nem frutas), Bem simples com apartamentos espaçosos porém bem antigos, para quem nao exige muita coisa tem excelente localização pessoal da recepção muito simpatico e atencioso Srs Gaston y Cristobal muito simpaticos e atentos, Quartos equipados com Microndas e Frigobar vazios(rsrrsrsrs), Carrefour a 02 quadras vale a pena da uma abastecida. Boa Viagem, Saudações Santistas Beto TJS. Não retorno a esse hotel. Quando eles viram que a reserva era por booking deram um quarto horrivel, sujo, com pinturas descacando, muito ruim. Enquanto isso falaram se eu tivesse reservado direto, pagaria somente 300 pesos. pessoal do hotel nos recebeu muito bem, sempre procurando nos passar informacoes exatas. as acomodacoes sao simples porém muito práticas. limpeza do hotel é impecável. café da manha satisfatório. servico de taxi oferecido pelo hotel através de uma empresa terceirizada muito bom e eficaz. mesmo precisando fazer checkout até as, o hotel manteve malas e pertencens na recepcao e nos permitiu utilizar o saguao do hotel até horário desejado. recomendo para viajantes e casais que desejam conhecer buenos aires, ficando em uma localizacao estratégica e sem gastar muito com a estadia. Hotellet låg väldigt bra till för promenader till olika sevärdheter, tango-restauranger och skolar samt till t-bana.Personalen gav många tips på sevärdheter och hjälpte oss också att ordna taxi till hamnen och visade hur vi skulle åka för att boka buss till Mendoza.I receptionen hade vi också tillgång till två datorer med gratis internetuppkoppling. Vi fick också lämna kvar resväskor medan vi gjorde en tredagrsutflykt till Mendoza.